Now have a careful look at the benches. You will see that some have carvings of figures on their ends. How many different figures – people, animals and birds – can you find? Draw a picture of the three that you like best and say what you think each figure is. Now look at the shapes and patterns along the backrests of the benches. 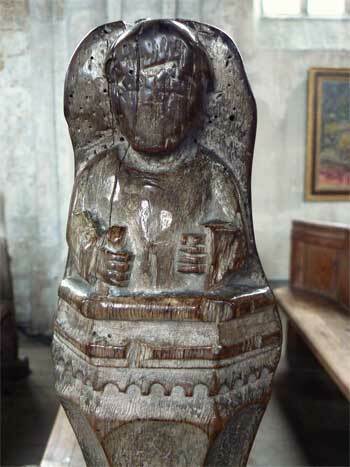 When you were looking at the carvings you may have noticed that some have lost their heads! Why do you think this has happened? Now suppose you were given the job of designing a new bench for the Priory. What would your bench look like? Would it have carvings on the ends and patterns along the back? Would it be painted or left as natural wood? Draw a picture of your bench and say why you have chosen each of its features. Do you think your bench should be upholstered?